In sales the repercussions of this transformation are felt on a massive scale. 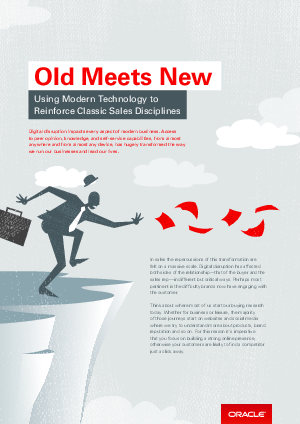 Digital disruption has affected both sides of the relationship—that of the buyer and the sales rep—in different but critical ways. Perhaps most pertinent is the difficulty brands now have engaging with the customer. Download this paper now to find out the reason why it’s imperative that you focus on building a strong online presence, otherwise your customers are likely to find a competitor just a click away.